Life is unpredictable. Choosing the right Life Insurance Policy can be a daunting task. Recently, one of my uncles died because of a sudden heart attack and left his family behind, broken as they did not have any Insurance cover. His sudden death took a toll on us and it became a lesson which led me and my family to think about Life on a serious note. We were looking for an Insurance plan for very specific needs. Then I was introduced to a Plan offered by Edelweiss Tokio Life Insurance Policy named the Edelweiss Tokio Life-MyLife+ - a Term Insurance Policy that has the minimum conditions with maximum benefits for all age groups and tenure. The most important part was that it met my expectations perfectly. 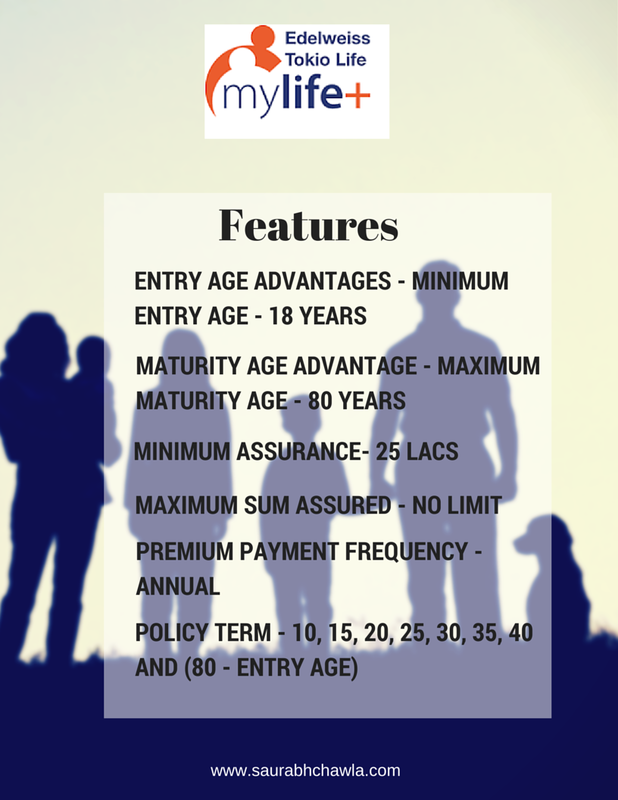 Minimum premium amount is Rupees 2500 and minimum sum assured is Rupees 25 lacs. Getting a quote is also an easy two step process which involves first step that includes some basic questions about your details which you need to answer and are essential like your date of birth, gender, Lifestyle and your income (simple). You are then directed to the second step wherein you are asked about your goals and your needs. This is something which I found catchy. One more GREAT BENEFIT of this is that the Payout Options they offer can be LUMPSUM, MONTHLY or a COMBINATION of both. This step actually includes the fields - benefit type, sum assured, cover term and payment frequency. Finally, when you fill out these questions, you get a detailed Life Insurance Quote. Getting to know the plan actually solved my problems which were blacking out my mind and made me confused about the choice of Life Insurance Policy I needed for securing the future of my family. Many of the Life Insurance Companies out there are not offering a Policy that would cater to your requirements and are not tailored to your goals. For me, I guess I have made my choice. I am planning to buy this Policy and would also suggest my friends and relatives. 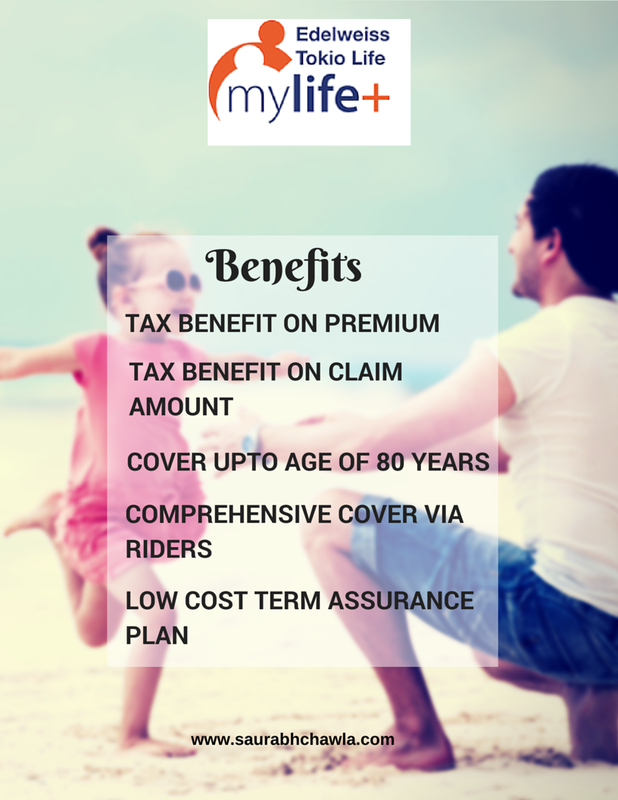 It's no other better way than to secure yours and loved one's future with Edelweiss Tokio Life-MyLife+. It's like having peace for a Lifetime! And my uncle’s family, they now feel secured!